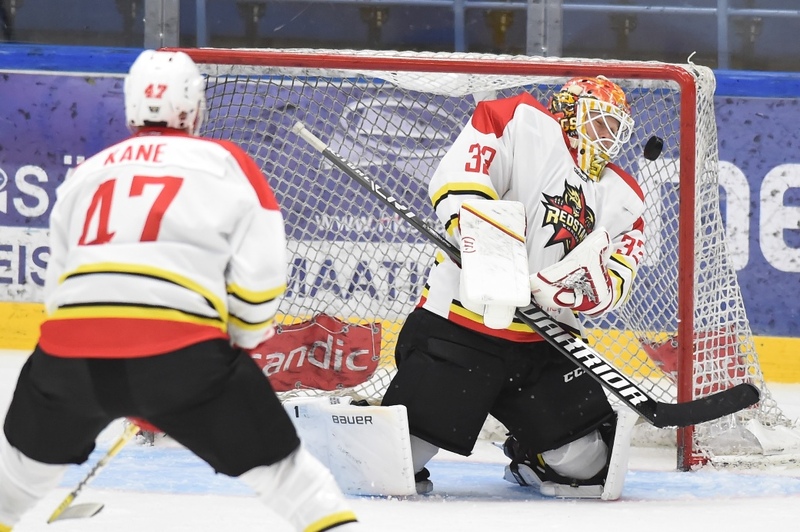 New Vityaz goaltender Tomi Karhunen spoke to KHL.Ru, about his time in China with Kunlun Red Star, his famous ex-teammates Patrik Laine and Steven Stamkos, and his recent move to Moscow Region. - Tomi, tell us about your move to Vityaz from Kunlun Red Star. 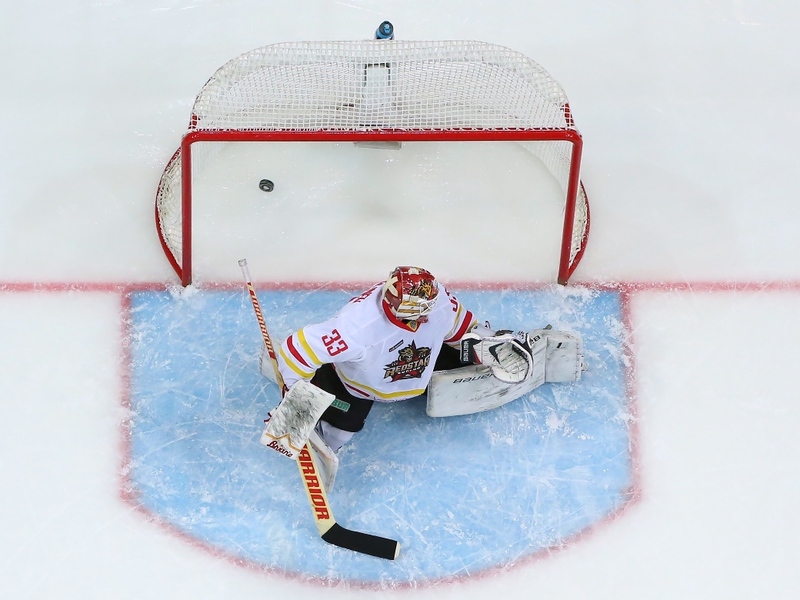 - Kunlun bought out my contract, so I became a free agent and could speak to any club. Vityaz showed an interest and from there things moved very quickly, so here I am. - Were you surprised by Kunlun's decision? - I was a little bit surprised, but it is part of the business. They no longer wanted me, so I left. - But you were not having a bad season. - Not at all. I think I was doing a good job, but it was not my decision. - What you know about Vityaz from previous years? - Not much, but I did play against them last year, in the final game of the regular season. Both teams were battling to reach the playoffs, and both teams succeeded. Of course, I know that over the years they have had a few Finnish players, such as goalie Harri Sateri, and forwards like Olli Palola and Miro Aaltonen, as we are from the same town. - Will the fans see you as the new Harri Sateri? - Well, I really want to do even better than he did; hopefully, I'll live up to all the expectations the fans have of me. - Given that you won three Finnish championships in a row, were you surprised when you arrived in the KHL to find you had to fight to be number one goalie? - Last year was not such a good one. I was injured after the first game and this put me out for three months. After I returned, I was playing in nearly every match, and that was a bit unusual for me. The KHL is a very competitive league, and you must be on top of your game all the time. It is the strongest league in Europe. It is not easy to come here, and you have to earn your place in the team. - Do you have plenty to tell your children and grandchildren about your experiences in China? - It was an experience, and I'll have good stories to tell. It is a different world. If you go there with a positive attitude, everything will be fine, certainly. Beijing and Shanghai are great cities. Hockey is not so popular, but it has potential. The future is bright. - Did you feel like ambassadors when you were there? - The goal of the whole club is to promote the game of hockey and prepare a team for the Olympics in five years' time. However, that won’t happen overnight. Yes, we were definitely ambassadors. - After playing in Finland, why did you decide to move to China? - I had won three championships in a row. I realized it was time to move on to a new chapter in my life. I wanted to test myself in the best league in Europe, and Kunlun was interested . - Your team was mostly a mixture of Russian and Finns, so how easy was it to adapt? - It was easy. We also had some Finnish coaches, and the head coach, Vladimir Yurzinov, could speak Finnish. - What kind of memories do you have from that time? - There are so many. Firstly, hockey-wise, we had been written off as outsiders and yet we made it to the play-offs. Secondly, away from the ice, Beijing and Shanghai both have about 25 million inhabitants, while in Finland, we only have around 5 million people in the whole country. So my first impressions were that it was a little crowded out on the streets (laughs). - And now you will have to adjust to being in Russia. - I have been to Russia on road trips and I've always liked it. The people are friendly, and I do not think I will have any problems in Podolsk. It is not far from Moscow, which is one of the most beautiful cities in the world. - Vityaz is not having its best run of form, and might struggle to qualify for the playoffs. - My mission is to help the team, and I'm sure we will improve our position and reach the playoffs. - You have been lucky enough to share the ice with some of the finest players in the game. Who was the best? - Yes, I have been lucky. I played alongside Steven Stamkos at Sarnia Sting, then Patrik Laine at Tappara. There have been so many guys who either had great careers or are starting out on great careers that it would not be fair to single out just one. - So, let’s start with Steven Stamkos. - It was his draft year, so there were scouts and cameras following him at every game. Everybody knew that he would be first pick, and it was fun to watch from the sidelines while the media ran after him everwhere. - But were you not also attracting some attention? - Well, Steven had all the attention. - How about Jesse Puljujarvi, Sebastian Aho and Patrik Laine? - It just so happened that first I played with Jesse and Sebastian, and then I ended up in the same team as Laine. They were very talented and great to watch, performing at such a high level for seventeen-year-olds. I wasn’t as good at that age. - Who has the best shot? Stamkos or Laine? - They have different shots. Stamkos is best with a slap shot and Patrick has a great wrist shot. - What is your record against them in training sessions? - Ha-ha! They never scored against me! But, overall, it’s hard to say. - Did you have any alternative career choices, other than hockey? - Hockey is the biggest sport in Finland. It is the most obvious choice for kids, and I have wanted to play hockey for as long as I can remember. When I started, I was a goalie, but sometimes played as a skater. After my first year, I was only a goalie, so I have been guarding the net my entire career. - What motivated you to be a goalie? Did you have heroes who played in that position? - When I was six years old, in 1995, Finland won the World Championships and Jarmo Myllys was between the pipes, so he was myfirst idol. Then it was Pasi Nurminen, and then of course, Miikka Kiprusoff. - What about Pekka Rinne? - He is definitely the best goalie with whom I have practiced. Rinne is a big guy and very quick, and that is why he is one of the best in the NHL. 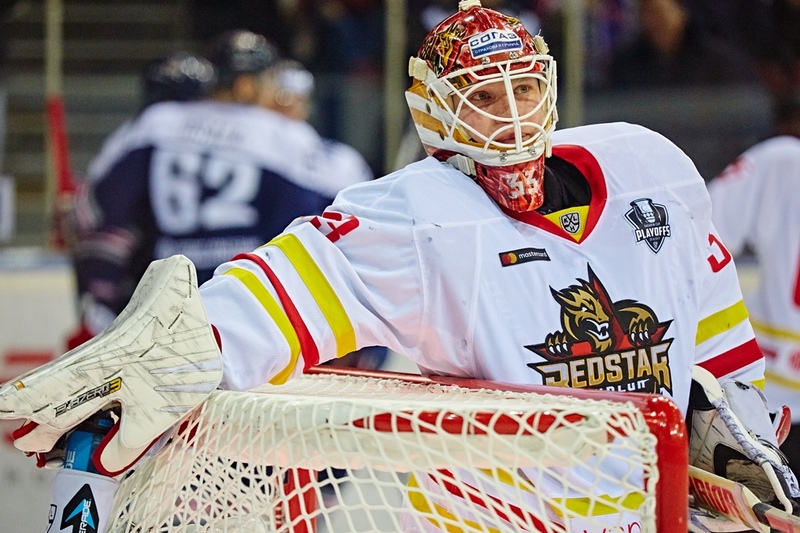 - Is there fierce competition between Finnish goalies in the KHL? - We do not have too many goalies here right now. I know Juha Metsola well, and I'm looking forward to playing against Amur with him guarding the other net. We are both little guys, but we both know how to stop the puck. The fashion now is for big goalies, like Mikko Koskinen. - What about Team Finland. Has your chance of going to the Olympics passed you by? - I am not thinking about it. If I play well, then anything can happen. But right now I am only thinking about Vityaz, and I must not waste energy pondering my chances with the national team.